Sion is a bouncer in a Dog Street bar called 'Fate'. An organized kidnapping by the Mikado Group's special forces draws Sion and his friends into an incredible battle beyond the mean streets of the future. - Experience action, adventure, fighting, and RPG elements woven together in ways you've never seen before. 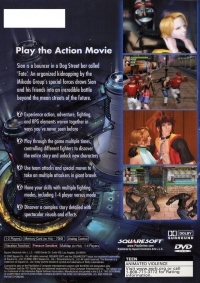 - Play through the game multiple times, controlling different fighters to discover the entire story and unlock new characters. - Use team attacks and special moves to take on multiple attackers in giant brawls. - Hone your skills with multiple fighting modes, including 1-4 versus mode. - Discover a complex story detailed with spectacular visuals and effects. 01-29-2014 scott Box Text Play the Action Movie Sion is a bouncer in a Dog Street bar called 'Fate'. An organized kidnapping by the Mikado Group's special forces draws Sion and his friends into an incredible battle beyond the mean streets of the future. - Experience action, adventure, fighting, and RPG elements woven together in ways you've never seen before. - Play through the game multiple times, controlling different fighters to discover the entire story and unlock new characters. - Use team attacks and special moves to take on multiple attackers in giant brawls. - Hone your skills with multiple fighting modes, including 1-4 versus mode. - Discover a complex story detailed with spectacular visuals and effects. 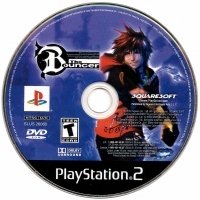 This is a list of VGCollect users who have Bouncer, The in their Collection. 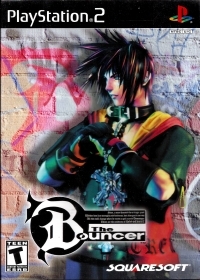 This is a list of VGCollect users who have Bouncer, The in their Sell List. This is a list of VGCollect users who have Bouncer, The in their Wish List.